I borrowed stole this from Tantra at PrettyLittleRunner. You can see her answers here. Alright, let’s take a stab at this! Nope. There were several options for my name, one being Lianne (my aunt). My dad actually calls me that sometimes, especially when we are visiting her. My mom really wanted to name me Cherie Leigh. So glad she didn’t! Oh, the other day when watching the final episode of Boy Meets World. It makes me sob like a baby every time. I feel like this show was such a fantastic family show with real life lessons. 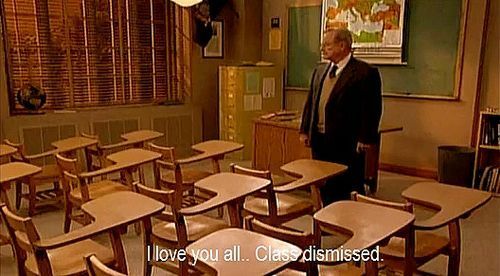 And although the relationship between Feeny and his students was unorthodox, it shows how deeply teachers care for their students. I don’t know. I’m an introvert, so I suspect it would be hard to get them to open up! I can be difficult sometimes…. Not even if bribed with money! The thought terrifies me. Cheerios without milk. Seriously. I’m like a toddler. 8. What’s the first thing you notice about other people? I usually say hazel…I actually have one green eye and one brown eye. Oh happy endings. I hate scary movies. I love the smell of vanilla, cloves, peppermint, and gardenias. But not all together haha! Oh TV. I’m so addicted to horrible cable TV. I went to San Diego when I was a young teen – that is a far reach from Virginia! Not that I can think of. I’m really good an injuring myself in stupid ways; does that count? Puerto Rico. I was a Navy brat. Nope! I have all the allergies. Of all time?? The Princess Bride probably wins. Followed very closely by the Breakfast Club. I’m very blessed with a biological brother and over the years I’ve added 3 stepsisters (2 from my mom’s remarriage and one from my dad’s remarriage). I love having a big family! Grown up! I’d love the be the kind of mother that mine was. She’s not perfect (no one is), but she is one of the most unselfish people I know. She raise me and my brother to be kind, strong, and independent people. Feel free to post your answers in the comments or repost the survey, I’d love to learn more about you! I was SO excited all day for yoga. Then I found out late in the afternoon that my gym was closed because a truck hit the transformer and they weren’t able to restore power. I’d be lying if I told you I went home and did yoga on my own. I totally was a lazy bum all night. I woke up with the same dizziness I experienced a few weeks ago which was diagnosed as a sinus infection and fluid in my ears. I went through a 1o day round of antibiotics and now its back. I’m frustrated – either I have more fluid issues, or that wasn’t really the issue to begin with. Guess I’ll wait it out. Danny night. It was pretty warm out, but he wanted to workout outside. Oh joy. Because it was so hot, it took me much longer to recover. I’m not built for heat. I swear it affects me so much more than others. Since I didn’t get to go to yoga on Monday night, I was bound and determined to go on Wednesday. I even got there early (mostly so I could get my “spot”). Class was good – much faster paced than normal, which was ok, but didn’t always lend itself to allowing me to get my posture correct. We did a lot of twists and hip openers. Much like I have issues with half moon, I have issues with Down Dog Split with a bent knee. My hips are so tight (especially my hip flexors), its darn near impossible! Why is this so hard for me? Darn hip flexors. Danny night. My back was bothering me throughout most of the day, so I was unsure about how the workout would go. I worried for nothing. Danny time! Well, kind of. He got stuck on his way in and texted me my workouts and joined me when he got in. I got to spend the rest of the day with one of my dear friends from college, Alayna. She is going to the Navy Ball in October and needed to find a dress (and she did! ), so we spent the day at MacArthur Mall shopping and catching up. Another rest day. I needed it. I did not sleep well Saturday night/early Sunday morning. I was up at 4am because a nightmare woke me up and had trouble getting back to sleep. I actually took a nap, which is a rarity for me. Decided to get to bed early (early for me) because I’m starting morning workouts. When I first started running (less than 5 miles at a time, simple cotton socks would do. I wasn’t running enough to develop blisters or get chafing or anything. I will still wear them on my short runs. But on my longer runs, I need better socks. I got some cheap socks that were supposed to wick away moisture. I’m not entirely convinced they work. I have gotten in the habit of using Body Glide on my feet as my main defense against blisters. One step up from cotton! I broke my pinky toe a few years ago and it never healed properly. Sometimes on long runs I’ve taken to taping my toes so that the pinky toenail doesn’t dig into the neighboring toe. Anways, fast forward to now, and I think it’s time to get serious about some good socks. I spent good money on shoes, I don’t want to run that with bad socks. This is where you guys come in! Heeeeelp meeee! What socks do you love and why? Do you wear different socks depending on the length of your run? Right after my last half marathon I wrote this post about the things that I need to work on. I thought I’d check in and see how I’ve been progressing, as well as highlight the things I haven’t worked on! 1. I need to do more core work. My back and core hurt a lot. My trainer and I have been slowly working on this. Due to my scoliosis, core strengthening work has to be very calculated. My lower back is still pretty weak, but I think between the work Danny and I are doing and yoga, I’m starting to make progress. 2. My hamstrings are still really tight…they need even MORE work. I think I’ve come leaps and bounds in this area. Yoga has been the key here. I’m getting toward the point that I can almost get my heels down while doing Downward Dog. 3. My feet and ankles need a lot more strengthening. Yoga has helped here, but there is still work to be done. As I write this, I’m rolling on a tennis ball! 4. This one is a biggie: I need to get away from my heel strike. I don’t think this is fixable at this point in time. 5. I don’t do any speedwork. Need to fix that! Correction: I need to run more. Or, like, at all. 6. I need to increase mileage SLOWLY. Yes I do. And I’m not going to do that to the best of my ability this time around either, but I will be smarter about it. Staying injury free is more important that getting exactly 10 miles in on my long run. 7. I cannot cheat on my workouts. I will definitely pay for it later. I’ve done a lot better on this. I’ve also been much better about taking my rest days so that I have the energy to complete my workouts. 8. I need to improve my nutrition. I will never be where I want to be/should be with my nutrition. However, I have made some good corrections recently and I’m focusing so much more on my nutrition now. All in all, I think I’ve made decent progress. I think the best thing I could do for myself is to correct my anatomical deficiencies and strengthen my supporting muscles. Dear runners: strength training and yoga are your friends! What are some things you are working on? Have you looked back recently to see your progress? I want to preface this post with a disclaimer: I am a runner, but I run for FUN. That being said, all decisions I make regarding training/races are to allow me to have fun and stay injury free. Other than being competitive with myself on times(who isn’t? ), I do these races for fun. There is no goal for a race important enough to supersede the focus on my health. So after I completed the Shamrock 1/2 marathon, I decided to make the Crawlin Crab 1/2 Marathon my next goal race. A goal race for me means trying to improve my times, possibly PR. I foolishly signed up for the Shell Yeah Challenge; I will run the 5k on Saturday of race weekend and the half-marathon on Sunday. The races are the first weekend in October. Well – my goals have changed. Due to a complete lack of motivation and training, I know I will not be adequately prepared for Crawlin Crab. Furthermore, if race day is as hot as it was last year, it will be a struggle. I’m not making excuses here, I’m attempting to make a smart, calculated decision. Sometimes things don’t go as we plan, and it is ok.
My new goal race is the Harbor Lights Half Marathon in November. By switching goals, it will allow my half-marathon in October become more of a training run. I plan on employing a walk/run interval strategy. I haven’t decided what that will look like yet, but that’s the plan. It would be easy for me to get discouraged, to abandon the (Crawlin Crab) race or defer to next year. However, I want to use this as a learning experience while making smart decisions and not force myself to do something that will result in an injury. That being said, I really want to do this race – its FUN. So I’m going to treat it like it’s fun. I’m going to commit to working hard the next few weeks so that I can successfully run/walk it. After that, I’ll have 7 weeks to finish preparing for the Harbor Lights half. I think this plan is do-able. I’m excited about this new plan and I think (and hope!) it will rejuvenate my training. Thank you all for your advice over the past few weeks as I sought inspiration for motivation and struggled with decisions about races. I know that some of you have had some changes in your race schedules recently, or have been dealing with injuries, and I’m hoping this is encouraging to you. How do you handle changing goals? 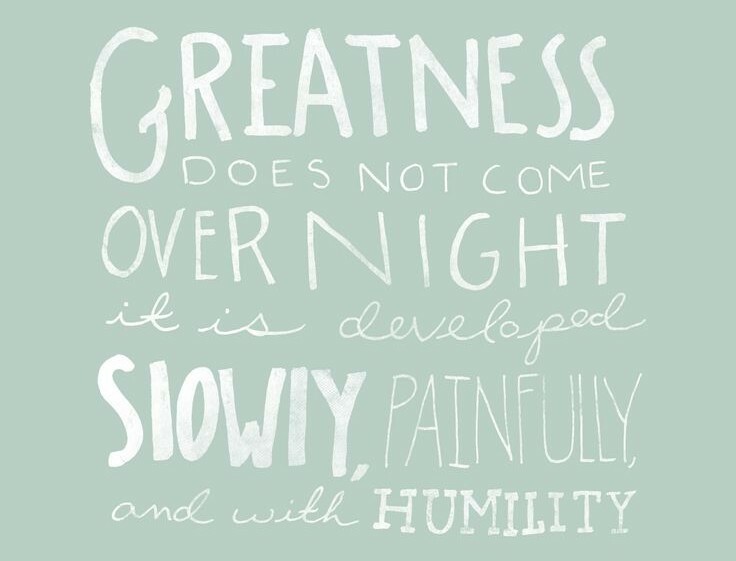 Do you get discouraged or rejuvenated? Hatha yoga class with Sue. I got a visual migraine on Monday morning, and I was really looking forward to class to relax me (I usually get migraines when stressed and/or really tired). Class is getting easier and easier, not having to take the modifications all the time. I do take some modifications because of my scoliosis and how it affects my shoulder strength and mobility. 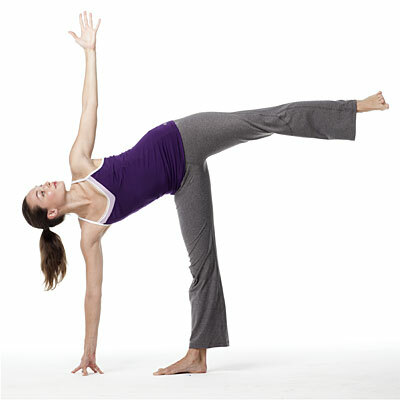 I tried Half Moon – my hips are so tight and my hip flexors are so weak, that this was nearly impossible! Seriously, I don’t know how anyone can do this. Danny night. We did a lot of corrective exercises, I don’t really remember all of them to record them here. We really focused on posture, engaging the correct muscles, and control. We also talked about my racing schedule for the fall. I appreciate all the advice you guys have given me and have shared it with him. He feels like its achievable, but I’ve got to correct a lot of things first (make adjustments for scoliosis, strengthen my glutes, etc). No workout. This was a day to get wedding stuff done! We made the deposit on our venue and catering! We are officially official! Only 319 days to go…. Danny night, actually felt pretty good. Had a 2 hour nutritional panel with the Fit360 class at my gym. Since my trainer (Danny) and Jeremy (he’s the trainer that fills in for Danny and tries to kill me) are pretty much the leaders of the class, they invited me to sit in. It was pretty good – great reminder of things I already know. Afterwards, Danny and I got to work – mostly a rehab type of day. My brother (Jaryd) and his girlfriend (Laura) were in town so I got to see them. My step mom is Greek and made tons of Greek food for us. Somehow I forgot to snap some pics, but we had pastitsio, spanakopita, grape leaves, greek salad, and pita with garlic. Jaryd and Laura made an orange cake for dessert! Yum! O.M.G! New J&A Race coming this fall and I cannot control my excitement!!! Just today, they announced a new race series for the November 21-23rd weekend. This will be a very beautiful run, taking place along the historic downtown Norfolk waterfront. Check out more information here: http://harborlightshalf.com. Of course, you know I’m a sucker for a challenge, and I want to do the Get Lit Challenge. However, I also know that I cannot push it, and I’ve pushed that idea out of my mind. I am considering the half though. I”m not sure that inserting a half marathon into that schedule in late November is the best of ideas, but I really really want to do it. November is such a great month for a half marathon. I know for sure I could do the 5k, no problem. If I were to do it, I would use the Crawlin Crab weekend as my tune up race – getting back into the swing of things, and make Harbor Lights my goal race for the the fall. I’m not in as great shape as a lot of you guys are, and I tend to be injury/niggle prone. I would love to be one of those people that can race 1/2 marathons back to back weekends, or even in the same month, but I’m not there. If I were to do this, I’d have a 7 week window between the two. I think it’s do-able, I just don’t know how smart it is. Or maybe I chose to defer Crawlin Crab till next year (which I really don’t want to do). I know that none of you can tell me what to do, I definitely don’t expect you to; I’m just trying to work out my thoughts about it. How much time do you like to leave between half marathons?